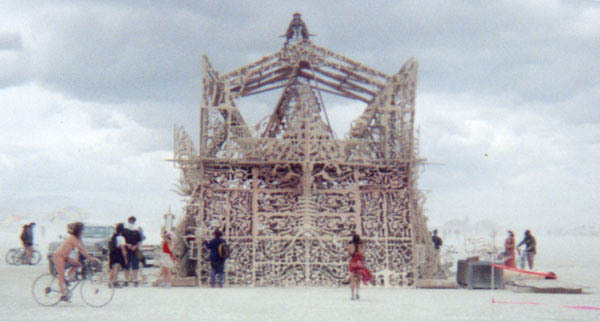 One of the guys building this house said that their friend died in a motorcycle accident 3 days before they were to leave for burning man. He asked everyone to write down the name of a loved one that they had lost and place it inside the house to burn along with the house. The detail and symmetry involved in all of the shapes used in the design of this house was astounding. This had to be one of the most amazing works of art at bm2k.